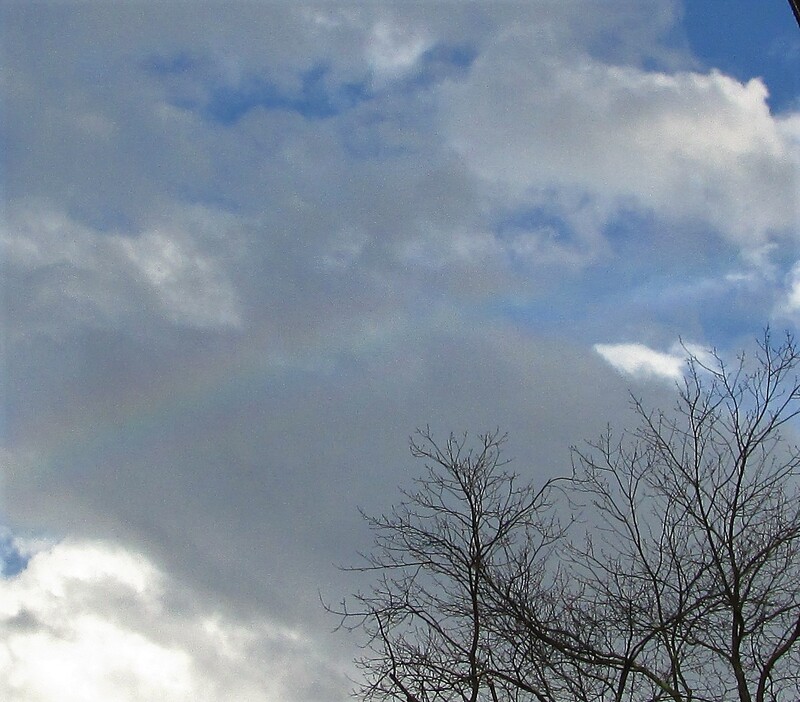 Skywatch Friday: Combine sun and rain and you will have A Chance of Rainbows! A photo of the rainbow over my neighborhood yesterday after the rain. God has been generous in endowing your surroundings with beauty. Susie, It was a precious moment. Just as my grand-daughters arrived at my house for a few hours of playtime the rainbow appeared. I was able to share it with them and their mother—a wonderful moment to remember always. 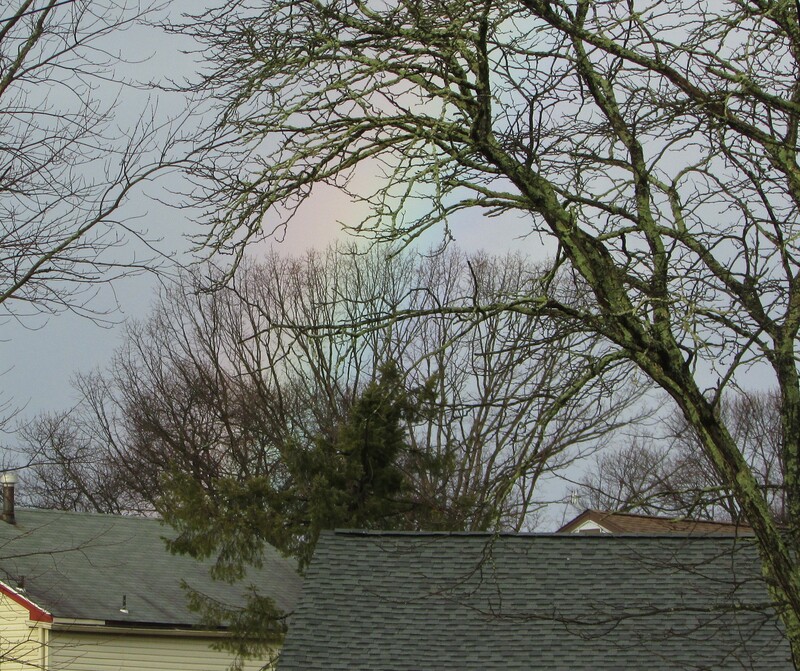 Thanks, they weren’t very bright near the top, but even the quickest glimpse of a rainbow brings me happiness. No rainbows in Tville Nj but very HEAVY rain. Very beautiful shots! Have a nice weekend. Thank you and please enjoy your weekend too. I’ve tried to take photos of some spectacular rainbows, but I don’t seem to get a good one, and certainly not one that shows the true colours. Good for you to get a few shots! They never look as bright in photographs. I can’t help but run for my camera when I see one. This one was especially sweet since I was able to share it.